Yesterday, Friday, August 21, 2015 in the early hours, Damascus time, an Israeli US made F-16 fighter-bomber, flew into Syrian airspace brazenly and fired at Brigade 68 and, then, turned and flew back toward Brigade 90 in Qunaytra in order to insure a safe landing in occupied Palestine if the aircraft was struck. It was struck. An SA-9 from the Iftiraas Air Defense Base and an SA-2 near the Khalkhaala AB were fired. 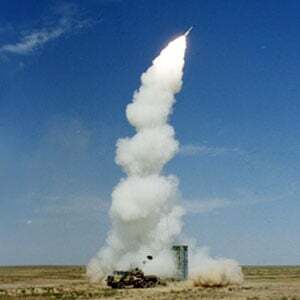 But, the technical wizardry was most on display when an S-300 (SA-10 “Grumble) super-air-defense missile was fired from the Republican Guard base near the Mazza AB at the foot of Qaasiyoon Mountain west of Damascus. This was done so that the F-16’s electronic countermeasures would first fix on the SA-2 and SA-9 while the S-300 plowed forward to exterminate the vermin inside the Israeli aircraft. The S-300 vaporized the Israeli bomber. No evidence was seen of the pilot ejecting. Instead, eyewitness accounts described a ball of fire over the Golan and the remains scattering into the air over the Huleh Valley in Palestine. Also, the Israelis lost 2 helicopters while flying missions over the Golan Heights in an effort to bolster the sagging morale of the Takfiri rats of Nusra/Alqaeda and Al-Ittihaad Al-Islaami li-Ajnaad Al-Shaam. The 2 helicopters went down over the area near Qunaytra City and were reportedly shot down by shoulder fired, heat-seeking missiles deployed throughout the Syrian Army. It had to happen, sooner or later. The seeming diffidence of the Syrian brass had to transform into a bolder and more pugnacious articulation of Syria’s right to self-defense. With Russia now inevitably bound to the Syrian government for reasons discussed at length on our website; and Iran, now dazzled by a new role to play in regional politics; the green light turned on, finally, with Moscow withdrawing all restrictions on the use of advanced weaponry sold to the Syrian military. If you want to know what the former Joint Chiefs of Staff Chairman, Martin Dempsey, meant when he told Congress Syria had a “robust air defense system”, the Zionists just found out for themselves. Yesterday, there was despondence after Israel assaulted Qunaytra and killed civilians seated in a public vehicle. The Israelis also killed one Syrian soldier and wounded several others in the Brigade 68 base. But, the Syrian Army Chief of Staff, in consultation with the president and the Defense Minister, had no intention of letting this episode slide by especially in light of President Putin’s recent meeting with the Turkish ambassador in Moscow during which he flatly told the diplomat that relations with Turkey would be severed if Erdoghan did not stop supporting terrorism. It also came just after Sergei Lavrov called the Saudi foreign minister an “imbecile” just as the latter was renouncing any intention to treat with the Syrian government. There is a new belligerency in both Moscow and Teheran and it is being translated into action over Syria.